The 2017 Toyota Corolla is sure to make even more customers happy as it celebrates its 50th Anniversary. Here’s a quick guide to the newest aspects of the popular Corolla. 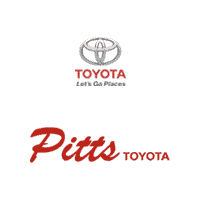 See the value for yourself at Pitts Toyota dealer serving Dublin, GA.
With the addition of the rearview camera to the least expensive edition, you will now find this important device on every Corolla. It’s so easy. You just shift into reverse and the camera shows you the rearward path. Every edition also has the 6.1-inch Entune touchscreen and Bluetooth. That’s value in every package. Leave it to Toyota to add world-class safety to all of its Corollas, regardless of price level. You get the lane departure alert with steering assist to help you avoid sideswipes. The pre-collision system helps you avoid rear-ending another car or hitting a pedestrian. Automatic high beams regulate the light so you can concentrate on driving. The dynamic radar cruise control regulates speed, even stopping if necessary. The 2017 Corolla SE 50th Anniversary Special Edition comes in an exclusive black cherry pearl, although silver and black editions are available. The interior continues the unique theme with black seats and black cherry contrast piping. Related design cues dress up the door trim, dash panel, steering wheel, shifter, and floor mats. Push button start and a color multi-information display assist the driver. Entune Audio Plus has a seven-inch touchscreen and the Scout GPS Link App. Find more surprises when you test drive the 2017 Corolla at Pitts Toyota dealer serving Dublin, GA.